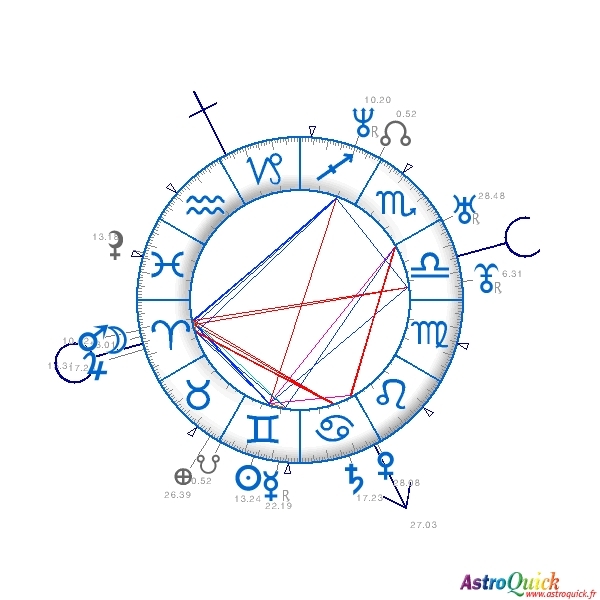 Your astrological report is laid out in HTML format (with text, illustrations and interactive links) to be found online, just after your order. A copy is also sent to you by email. 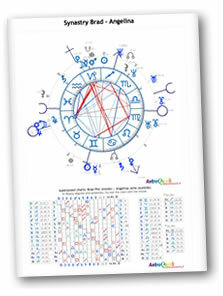 starting from only 37.31 US $, including natal and composite charts ! - The zodiacal affinities of each personal planet that will help us get in touch with the positive and negative aspects of our personality. - The positions in houses that will help you figure out in what aspect those psychological tendencies will express themselves. - The qualities of planetary inter-aspects (harmonies or dissonances) that will help you figure out if you are willing to get along well with someone or not. 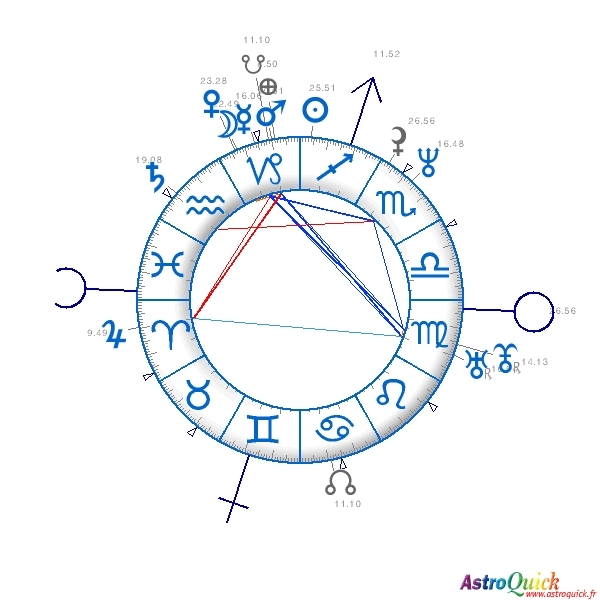 We remind you that it is impossible for a computerized analysis, even fully detailled, to give the exact summary of all the consequences in the results we find for each birth chart. The synastry is a very complex astrological study that can't work with a computer. However, the following analysis will give you key elements for you to figure out many things about why you do (not) get along with someone. It is important to remember that those generalities are neither a statement of fact nor a benediction for your relationship. Beyond the way people express their astrological potential is a relationship that first and foremost depends on the level of love. Only a sincere love and a common knowledge of you and your partner's particularities will guarantee a stable and lasting relationship that would overcome all the obstacles!